Animated comedy Sherlock Gnomes hits UK cinemas this Friday whilst the Melissa McCarthy comedy Life of the Party releases in both the United Kingdom and United States. ; here are the cinema releases May 11 2018. What movies/films have we all been watching over the last week, time to find out as we take a look at the Top 10 Box Office Films in both the US and UK. Another week and another comedy movie that I again have zero interest, I’m referring to Melissa McCarthy’s latest project Life of the Party. I remember when there were truly exceptional comedy films but alas the ones coming out now all see to follow exactly the same formula and therefore lack wit and genuine intelligently constructed comic moments. Remember Planes, Trains and Automobiles? I’ll give a pass on all of this week’s film offerings and enjoy a couple of classic movies on Blu-ray instead. Note: The Amazon links on this page are affiliate / associate links. By buying through the links we may receive a commission for the sale. This has no effect on the price you pay. 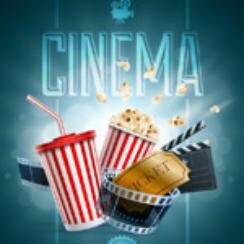 Popcorn Cinema Show is UK Blu-ray site run by movie lovers for movie lovers. We cover films old & new whilst also keeping an eye on the latest cinema release and films from smaller production companies. Blu-ray is however our key focus so if you want to know if your favourite film has been properly restored we will let you know whether or not you should consider purchasing in one our blu-ray reviews.